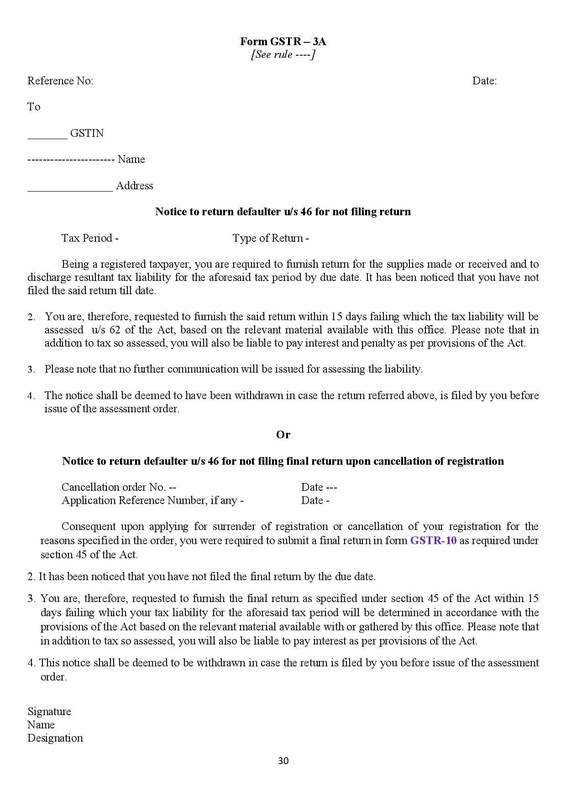 The GSTR-3A is not a tax return, but a notice generated by the tax authority. It’s issued to a tax payer who has failed to file their GST returns on time for a particular tax period. Upon receiving the GSTR-3A, the tax payer will have a maximum of 15 days from the date of default to remedy the situation (including any penalties or late fees).